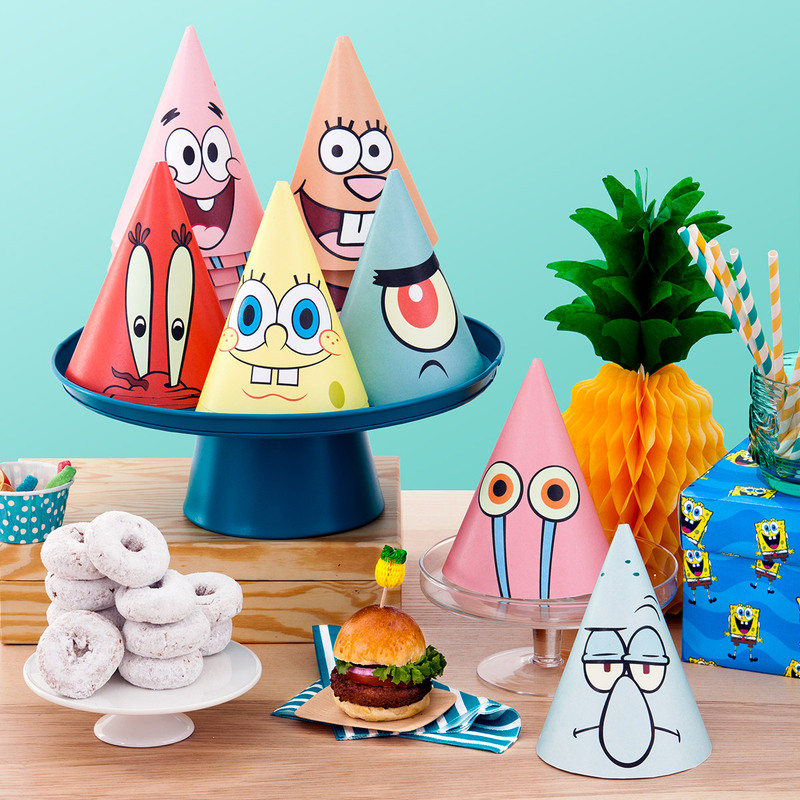 Here’s your complete guide to a Sponge-tastic celebration! 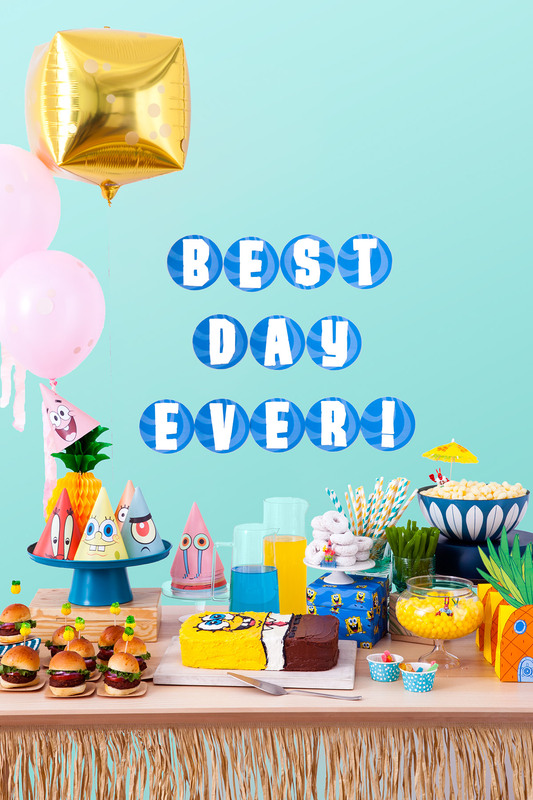 It’s a dream birthday party and everyone under the sea is invited! 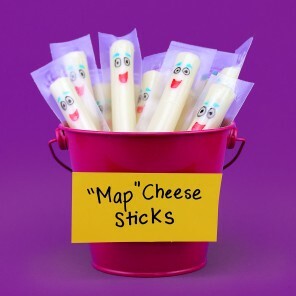 You’ve been on Pinterest, you’ve seen the endless options of Krabby Cakes, Gary Goodies and Spongy Streamers, and it’s honestly overwhelming. 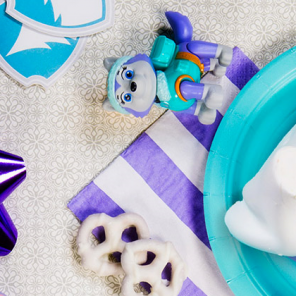 We’ve gathered some simple DIY options for your child’s Bikini Bottom bash that won’t burst any bubbles. 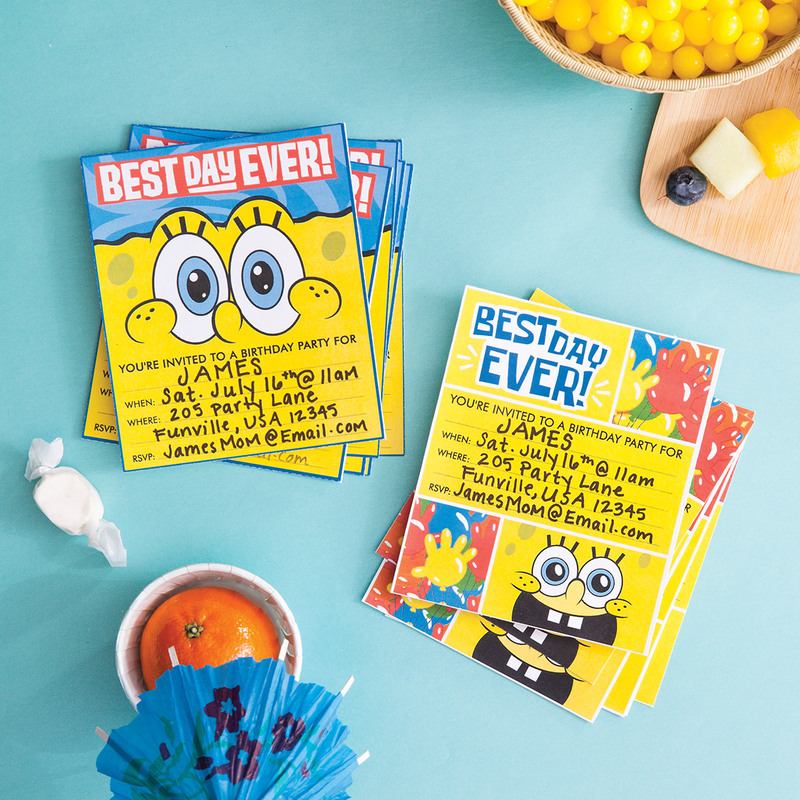 Let your kid’s friends know they’re in for the BEST DAY EVER with these printable party invites. 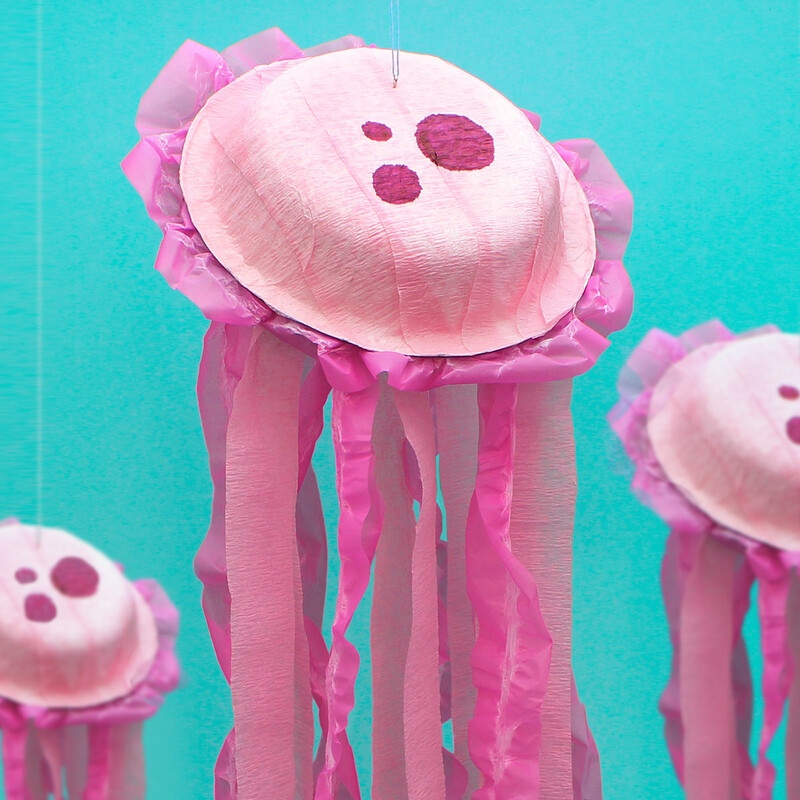 Make your own iconic pink Jumping Jellyfish out of paper bowls and streamers, because what’s birthday wishin’ without some jellyfishin’? 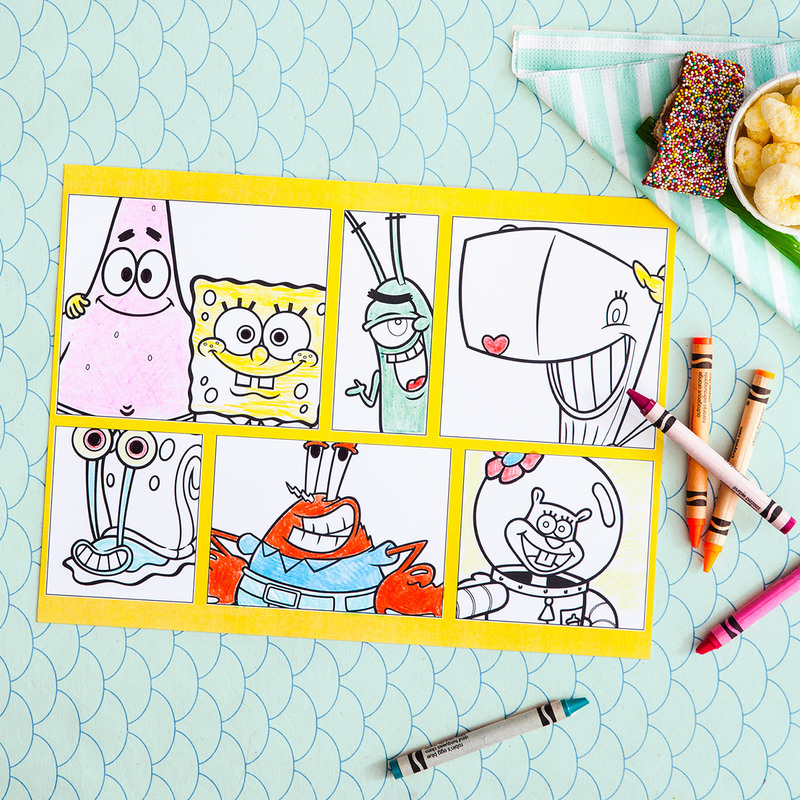 We’ve got printable hat templates for everyone from Sandy to Plankton, because these are the secret formula to FUN! 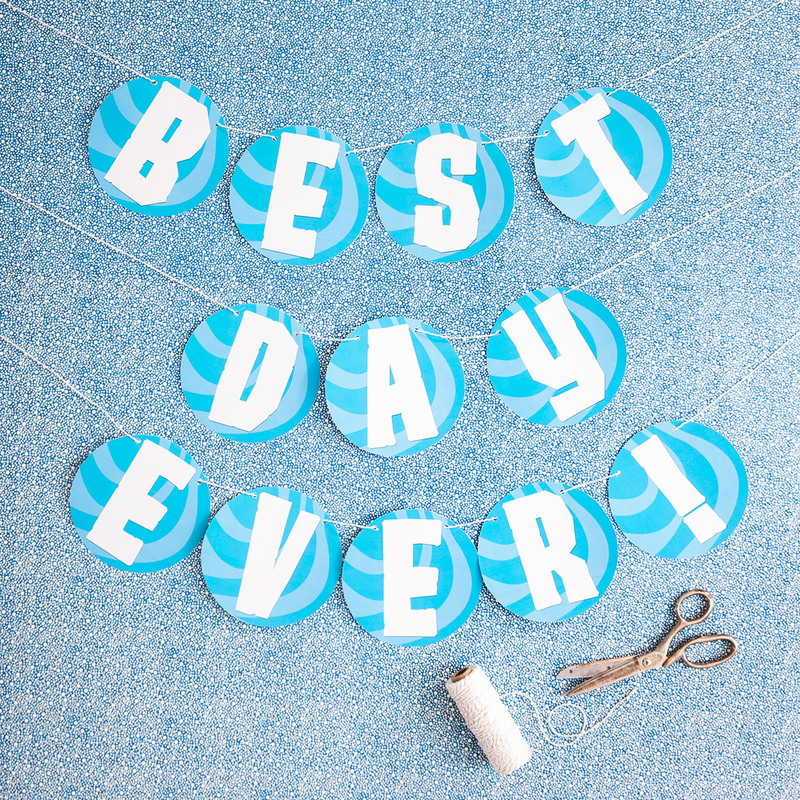 Make your own bubbly birthday banner. Simply print, cut, and mount on the wall! 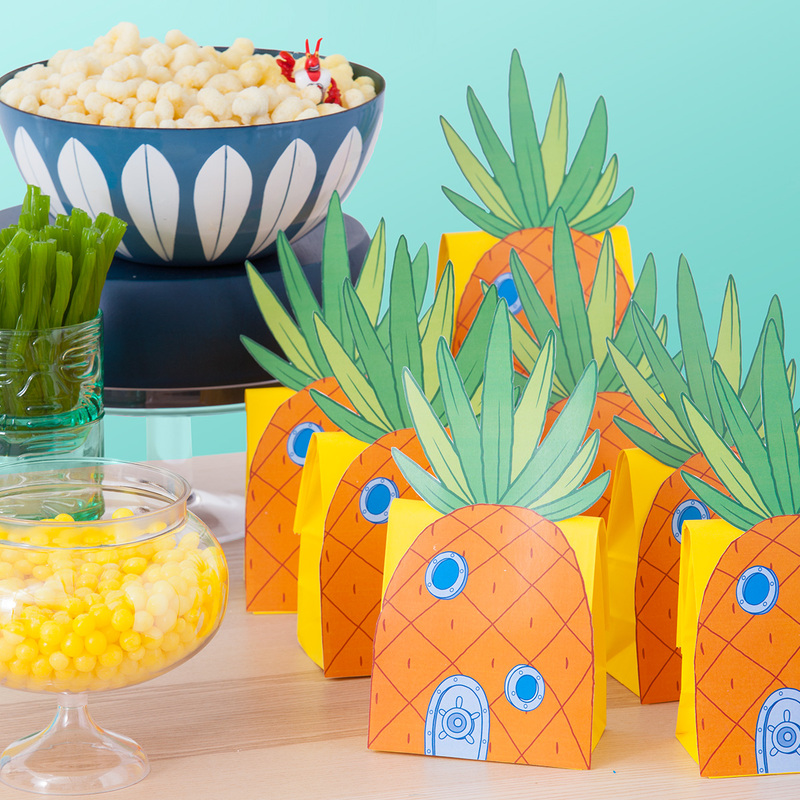 Finally, grab some paper bags (we recommend yellow) and print these easy goody bag decals modeled after SpongeBob’s pineapple! We’re quite frond of this craft! 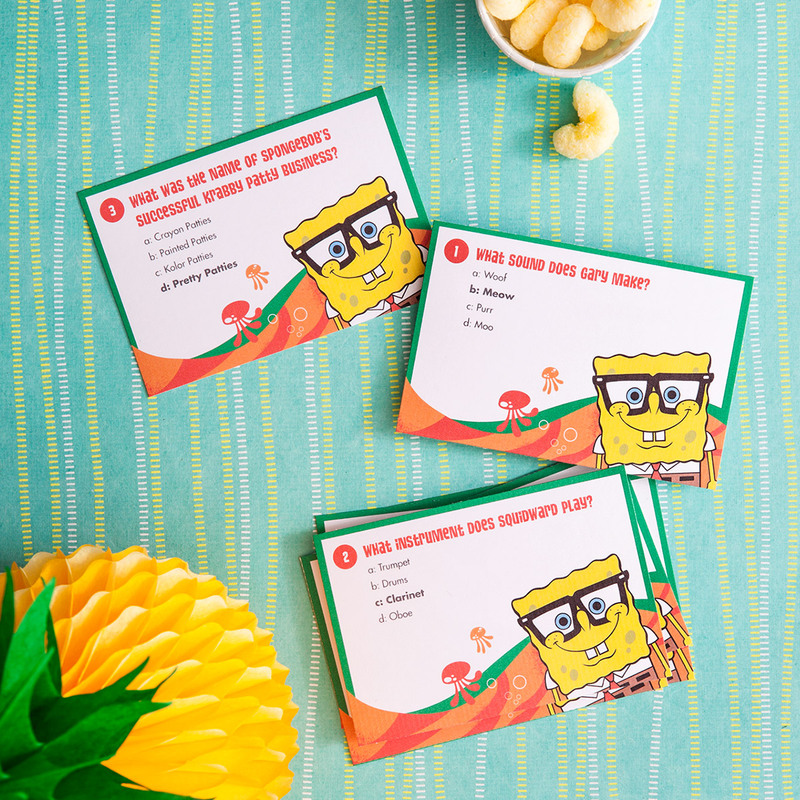 Calling all SpongeBob SmartyPants! 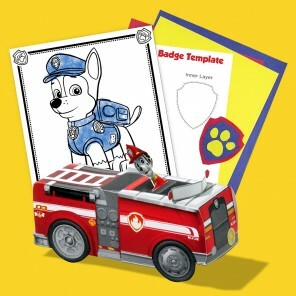 With eight different rule options and pre-made printable cards, this game works for a multitude of ages and group sizes. 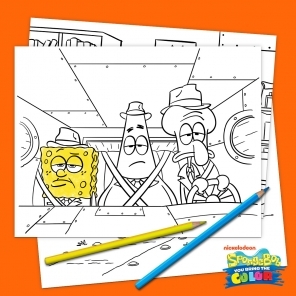 Print these party placemats so kids can find their seats and color while they wait for all the guests to arrive. 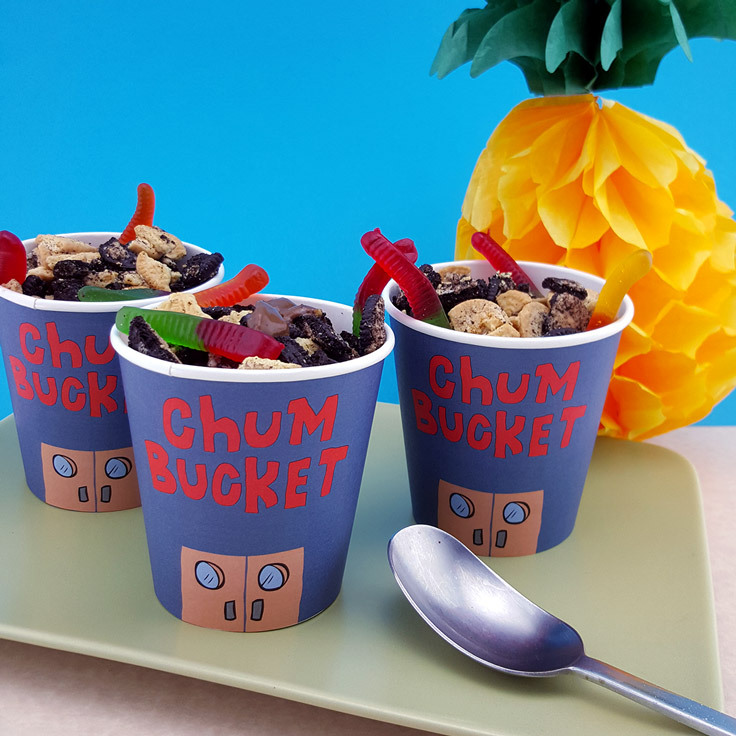 The classic dirt cup recipe just got a lot more chum-derful! Use our allergy-friendly pudding recipe, crushed sandwich cookies, gummy worms, and a simple printable template for a delicious party treat. 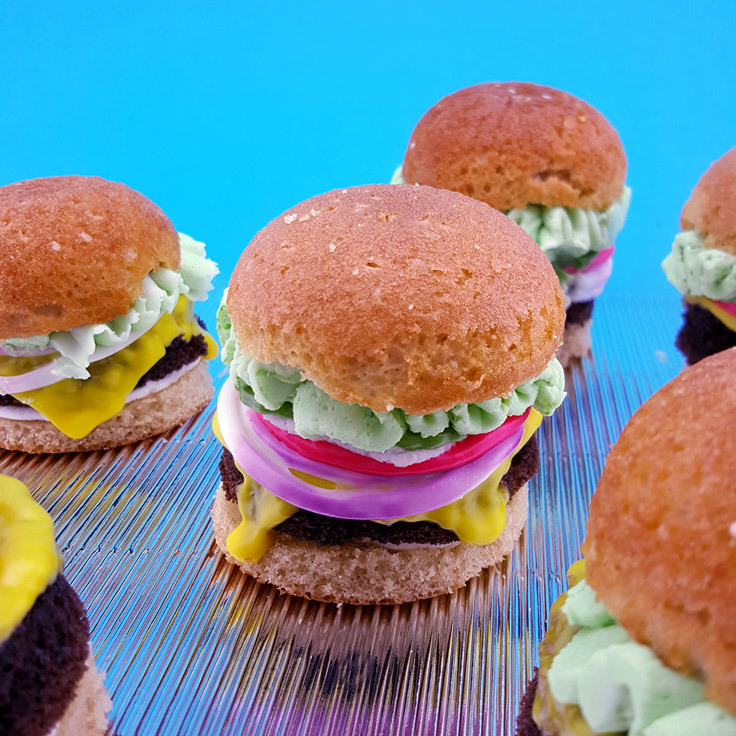 For advanced bakers, grab your spatula and try your hand and our friendly fry cook’s favorite: Krabby Patties (in cupcake form!). What party would be complete without a CAKE? 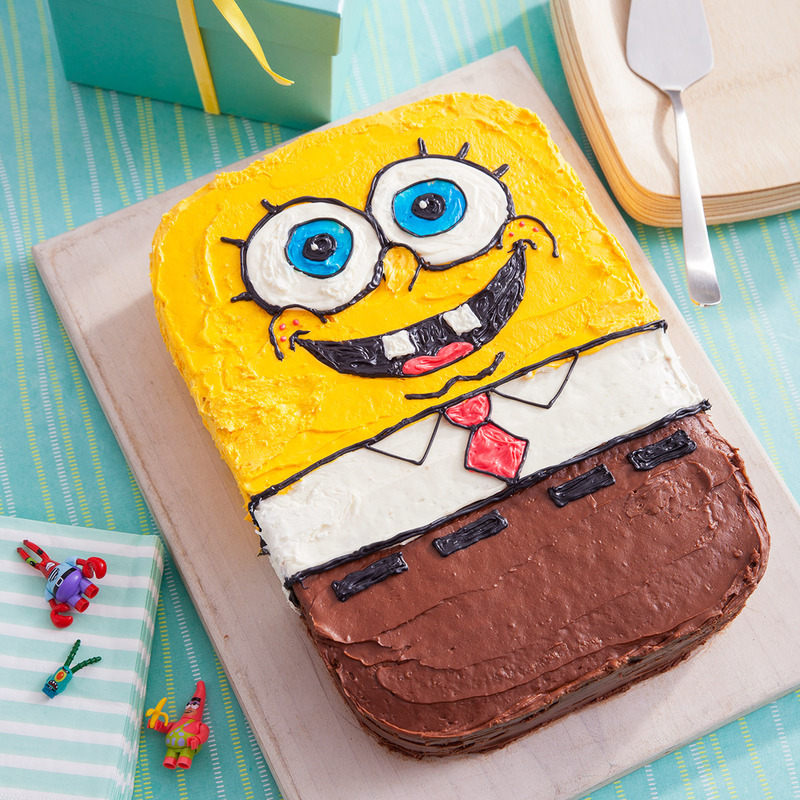 We’ve designed a sheet cake that, while rectangular, is cool enough to be called Square(Pants). That’s a wrap! 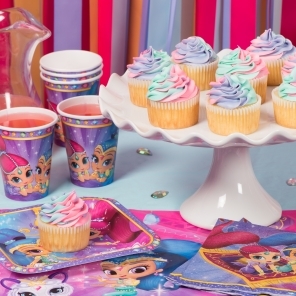 With these PEARLS of party wisdom, your child will be sure to have a WHALE of a good time!